Police investigating the mysterious deaths of two Saudi Arabian sisters whose bound bodies washed up in New York City last week say they arrived from Fairfax, Virginia, on Sept. 1. Police said credit card records show 16-year-old Tala Farea and 22-year-old Rotana Farea first stopped in Washington, D.C., and Philadelphia. The sisters were last seen in Fairfax on Aug. 24. 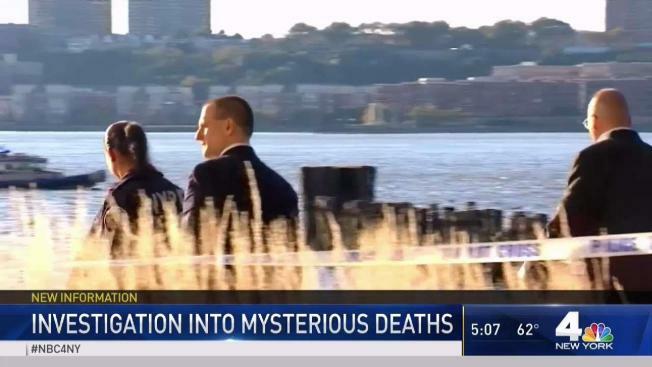 Their bodies were discovered Oct. 24 on the Manhattan waterfront of the Hudson River fully clothed and bound together. Police say there were no signs of trauma and it appeared that they were alive when they went into the water. The medical examiner's office has said it's still not clear how they died, but sources say there is no information to suggest foul play or an honor killing in the mystifying case. The NYPD says there's no evidence the sisters went anywhere else after arriving in New York. Police wouldn't say how they traveled or where they stayed. They were reported missing in Fairfax on Sept. 12. Anyone with information is asked to call authorities.